This is a bundle of my PowerPoint Presentations for CKLA Skills Strands in Kindergarten, the Skills Work and Play Products and the Skills Group Products. Save money and buy the bundle. See descriptions below. 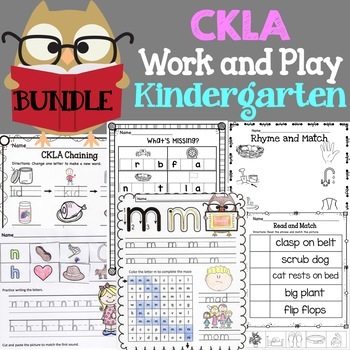 This is a growing bundle of my work and play products for CKLA Skill Strand Kindergarten. As I make more, they will be added to this bundle. Also included are my group activities. Unit 1 and 2 will hopefully be completed by the end of the summer.